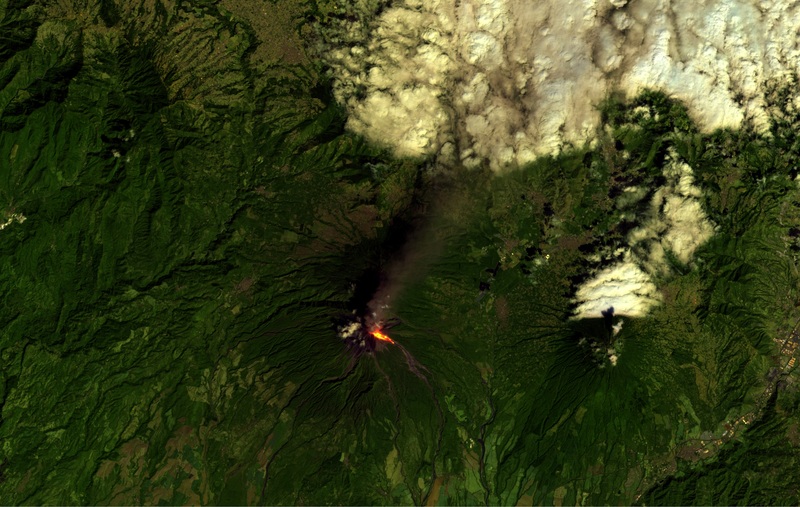 A Sentinel-2A image of the active Volcán de Fuego in Guatemala on the 10th of February 2016. This false-colour has been obtained using SNAP Toolbox combining bands in SWIR and VIS spectral range. Sentinel-2A data were downloaded from the Sentinel-2 Scientific Data Hub. The original resolution product is made available for download. It is a 60 MB GeoTIFF. You can download it from here.